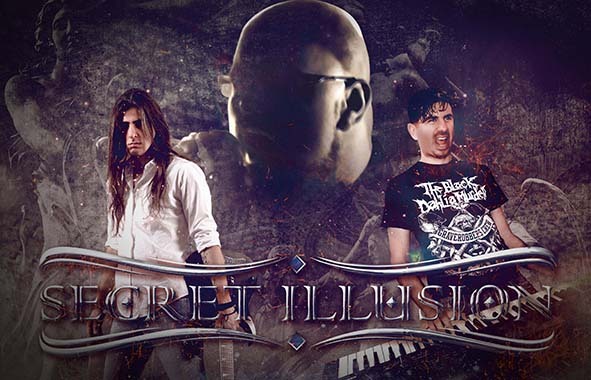 Secret Illusion is a Greek Power Metal band and took form somewhere in the middle of 2007 in the city of Athens. At 2008 the first demo of the band, called “Silent Voices”, was released. At 2011 was released the 1st studio album “Illusion”. “Illusion” received some great reviews, all over the world, and proved to be an excellent start for the band! 2 EP's came up next, "Turn Back Time" & "Point of no Return" at 2012 and at 2014 Secret Illusion returned with a new offering entitled “Change of Time”, the 2nd studio album. At 2015 the band released a brand new digital single, called “Winds of Tomorrow”, with Evmenios Poulias behind the keyboards and the unbelievable Vasilis Axiotis on vocals this time! After that, the two main composers, Filippos and Evmenios, entered their personal studio to create the new album of the band. 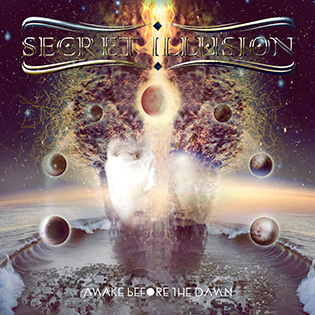 After 2 years of recording and mixing process, Secret Illusion signed a brand new contract to Lion Music and are about to unleash their 3rd full length album entitled “Awake Before the Dawn”. The new material is more melodic than ever before! The songs are arranged in an epic manner, where slow parts are intertwined with the more speedy, powerful ones in an explosive and breathtaking mixture! The lyrics, as always, are a combination between our personal experiences and the way we see life and the world around us. We would say Stratovarius. It’s an obvious influence for the band since the very beginning back in 2008, but definitely after all these years we have evolved a lot musically and we believe that Secret Illusion have managed to create a personal sound. How does it differ from previous album? The new album is more mature than the previous ones and it’s the first time that the composing process was actually a team work, for most of the songs of the album. To tell you the truth, we just wanted to enjoy the whole process and create good music with peace and quiet, for the first time in the history of this band. During the process though, we clearly understood that the material sounds too good, we really liked it a lot and we decided to do our very best to give this album the promotion and the attention that it deserves and finding a new serious label was definitely the first and main goal for us. We listen to many different kinds of music, from classical music (Mozart, Mahler, Beethoven, Vivaldi etc) to Jazz music and this, for sure, affects the way we compose our songs. So someone who will listen to Secret Illusion, definitely will find such parts (well hidden though haha!). The lyrics, in this album for the first time, are deeply affected by great writers and philosophers such as Nikos Kazantzakis, Albert Camus and Jiddu Krishnamurti. It was a pretty long process, almost 2 years. We started the recordings at the beginning of 2016 and we finished the mixing/mastering process 2 months ago. It was a tiring journey but also interesting and very creative. The voice of Vasilis Axiotis was a great contribution in this album, he took some basic vocal lines and lifted them up to a whole new level! All the musicians who participated in this effort gave their 100% and this is what makes “Awake Before the Dawn” so special and the best Secret Illusion album so far!